Portaluca Boutique is hosting a festive shopping party on December 9, 2014! Make sure to mark your calendars to attend the party at Marty’s Hops & Vines at 6110 Hamilton Avenue from 7-9pm. There will be informal modeling, tons of shopping, and great drink specials for the evening! All proceeds from the shopping party go to the Dress for Success program in Cincinnati. Come out to support a great cause, while shopping for hot pieces for your wardrobe or great gifts for the holiday. See you there! Fashion Blogger Panel, $1k Prize Pack at Champagne & Shoes! Our upcoming Champagne & Shoes event is going to be epic!! 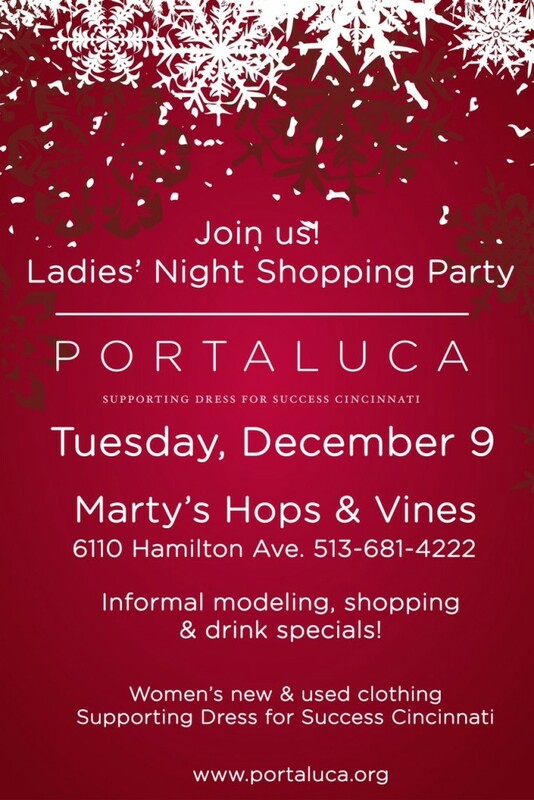 It’s going to be one of the first events after Dress for Success Cincinnati’s 4th Street Boutique rebranded to Portaluca (click here to read all about it in this week’s issue of Cincy Chic!)! Plus, we have an amazing prize pack full of goodies (think jewelry, spa certificates and shopping gift cards!) for the one attendee deemed to have the “Chicest Shoes of them All” at the event. That person will be determined by our incredible line-up of local fashion bloggers who will be scouring the crowd for their favorite pair of pumps! BREAK OUT YOUR MANOLO BLAHNIKS, SIP ON SOME BUBBLY, AND ENJOY FASHIONABLE FUN FOR A GREAT CAUSE! JOIN CINCY CHIC FOR A FUNDRAISER AND FASHION SHOW TO BENEFIT DRESS FOR SUCCESS CINCINNATI. BRING A PIECE OF PROFESSIONAL ATTIRE OR MAKE A $10 DONATION AT THE DOOR TO GAIN ACCESS TO THE EVENT, COMPLIMENTARY BUBBLY BY AVISSI PROSECCO, SWAG BAG, MINGLING, SHOPPING AND A FAB FALL FASHION SHOW. COME DRESSED TO IMPRESS BECAUSE OUR PANEL OF LOCAL FASHION BLOGGERS WILL BE ON-SITE TO SPOT ONE ATTENDEE WITH THE “CHICEST SHOES OF ALL” WHO WILL WIN A $1,000 PRIZE PACK! Brought to you by: Cincy Chic, the only online lifestyle publication for women in Greater Cincinnati. 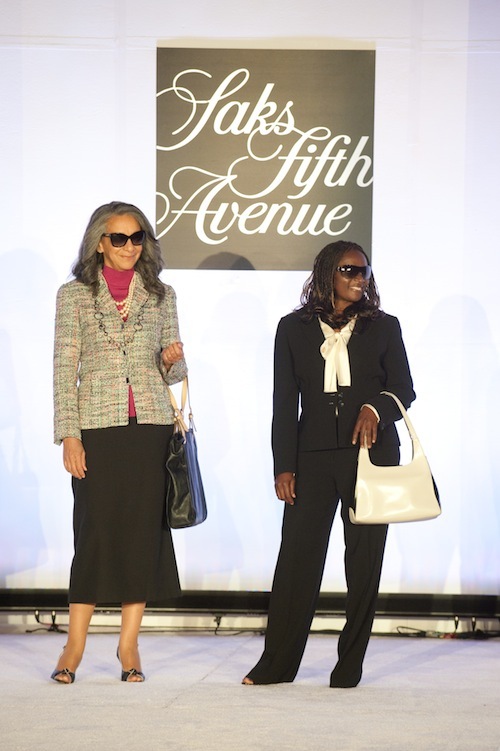 As I blogged about earlier, Saks and Dress for Success team up every year for a fabulous fashion show, and this year’s event took place on Sept. 19. My Cincy Chic team was there to see the fabulousity unfold and we were wowed yet again this year! Check out pics of some of our favorite looks and crowd shots! 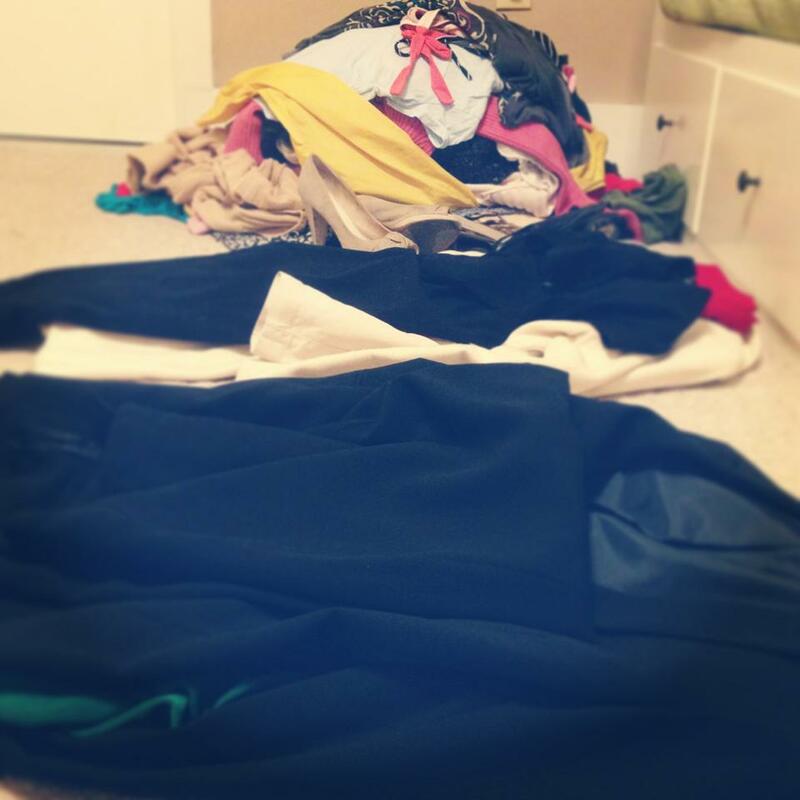 Declutter and Donate to Dress for Success! Ok, ladies… we’ve all been there before… lots of clothes but nothing to wear? Here’s my secret for eliminating the stress of getting out the door on time, look fresh and fabulous, and support a local charity in the process! First, make Three Piles: donate, alter, and eBay! Without a doubt my “donate” pile will be going to Dress for Success Cincinnati, to help empower women and give them the confidence they need to succeed. 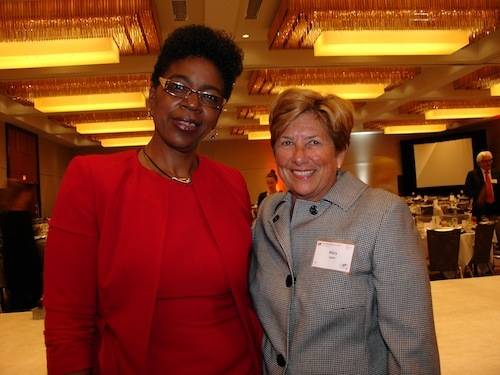 Gently used business attire can ultimately help women thrive in work and in life. Donations are always welcomed and encouraged! Click here to find out where you can drop off your donations! Remember, donating is tax deductible, good for the earth and makes room for a replenished wardrobe! For more information about Dress for Success, visit there website at www.dfscincy.org. Thanks to my intern, Shannon Mahoney, for helping me put this blog together! Get out and support Dress for Success this Thursday, April 11! 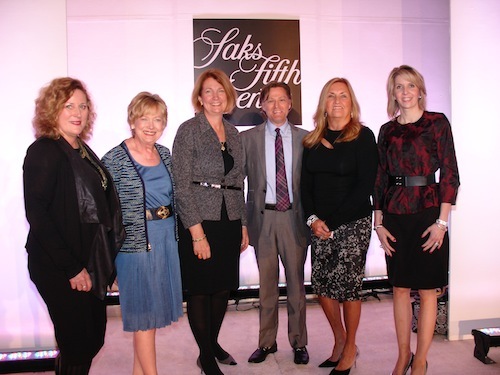 From 6-8 p.m. you can hang out at Saks Fifth Avenue with Saks General Manager Kevin Shibely. He’ll be toasting to Horseshoe Casino Senior Vice President and General Manager Kevin Kline during a cocktail reception. At the event, you can enjoy hors d’oeuvres, live music, show girls and even some casino games – all coming to a night full of fun at Saks! 10% of the sales from the event will be donated to Dress for Success and the casino will match the Saks donation to the charity too! For more information on the event or to RSVP, call Michelle Columbus at 513-421-6800 ext. 205 or email michelle_columbus@s5a.com!